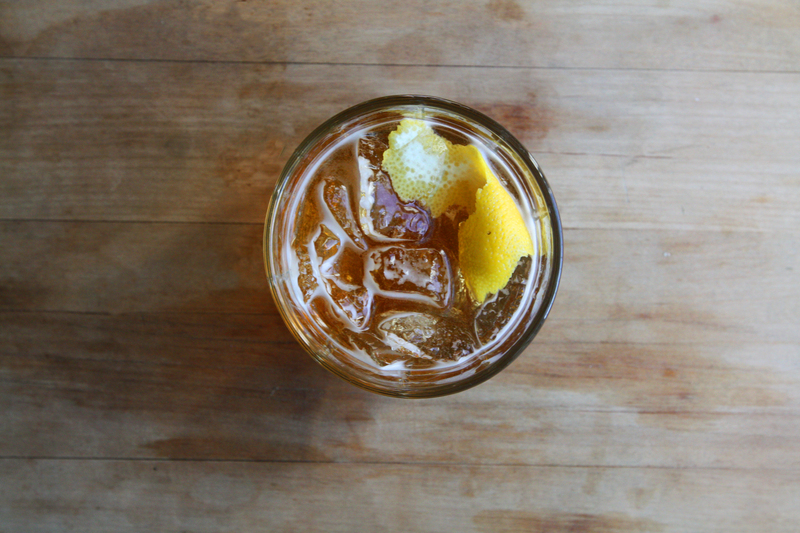 This hard cider cocktail is another from Jerry Thomas’ bartending guide. It’s easy and icey and perfect for hot days. Made with a dash of bitters, it tastes like a summer version of mulled cider. From How to Mix Drinks by Jerry Thomas, 1862. Fill a tumbler with crushed ice. Add simple syrup and bitters, then fill glass with hard cider. Stir until the glass becomes very cold and condensation appears. Serve, garnished with a twist of lemon peel. Oh, I *love* hard cider. This looks delicious! Thanks for sharing! I love it, too! This cocktail is the perfect way to drink it in the summer.